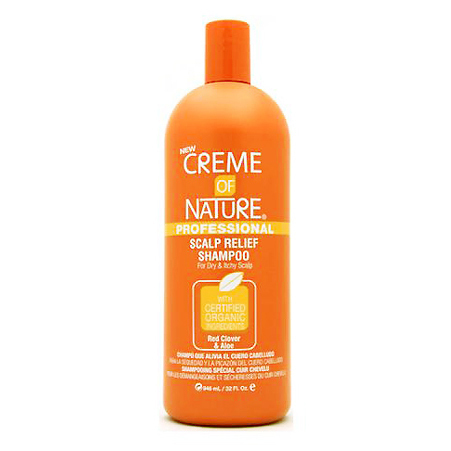 Creme of Nature Professional Scalp Relief Shampoo Red Clover & Aloe with certified organic ingredients for Dry & Itchy Scalp with Certified Organic Ingredients to moisturize, soothe & calm irritated scalps. Directions: Apply to wet hair and work into a rich lather. Rinse and repeat. Follow with any of Creme of Nature moisturizing conditioner or treatment.